The top two hemp-producing states in 2017, Oregon and Colorado, might not surprise you. More like the Greengrass State. After all, both states were among the first to decriminalize, and then to legalize, recreational marijuana. It only makes sense that industrial hemp, a non-psychoactive version of the same plant, would be widely grown in those states. But the number three hemp-producing state might come as a shock: Kentucky. The Kentucky Department of Agriculture recently released its 2018 numbers for the hemp industry in the Bluegrass State, and things are looking positively rosy. 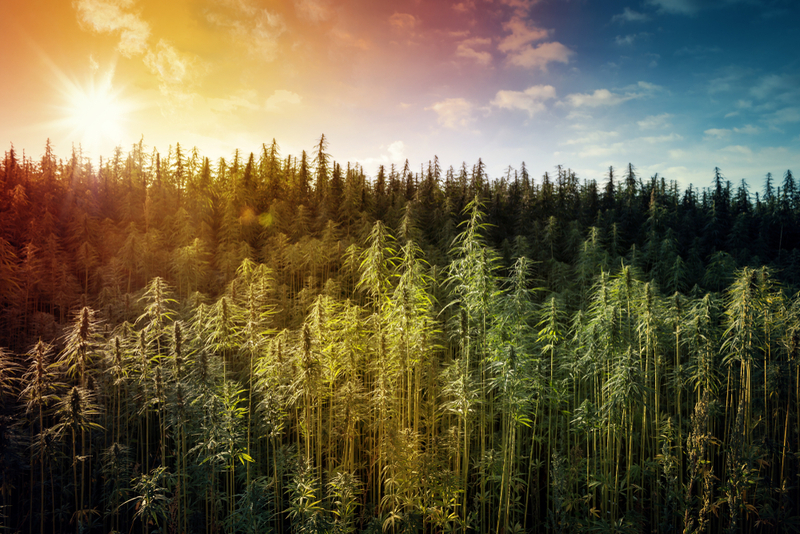 Gross product sales of industrial hemp leapt from $16.7 million in 2017 to $57.75 million in 2018, with $17.75 million going directly to hemp farmers. 3,200 acres were newly approved to grow hemp in 2017; last year, that jumped to 16,100 acres. And it’s only going to get bigger: More than 50,000 acres, and six million square feet of indoor greenhouses, have been approved for the 2019 growing season. So how did Kentucky, which wouldn’t seem to have much politically in common with Oregon and Colorado, become such a huge player in hemp? Industrial hemp, which is simply a variety of the cannabis plant grown to have little to no THC, grows well in Kentucky. But then, it also grows well in Canada, and China, and New York and California. The plant isn’t sometimes called “weed” for no reason; there are challenges to maximizing yield, but it certainly isn’t an especially finicky plant to grow. That actually works to Kentucky’s benefit; Kentucky has lots of excellent soil for farming, but it also has a lot of rocky, hilly terrain that most crops don’t like. Hemp, though, can do fine there.